This is the second Australian and New Zealand edition of Essentials of Corporate Finance(Ross, Westerfield and Jordan, US) adapted by local authors Rowan Trayler (UTS) and Ron Bird (UTS). Trayler and Bird have created a successful and engaging text for students in single semester courses, balancing theory with real-world regional stories and examples and concisely covering essential financial principles and concepts. 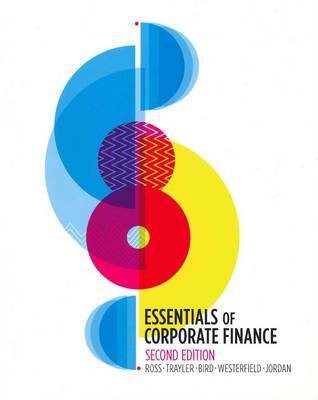 Essentials of Corporate Finance is part of a suite of Ross products and has an emphasis on applications and relevancy to business within a 18 chapter structure. The text aims to make core introductory finance topics accessible and relevant through the use of real-life, regional examples. Perhaps the most exciting development for the new edition is that Essentials of Corporate Finance now comes with Connect Plus. This is a new, unique and powerful tool for lecturers and students which includes an integrated ebook, assignment and quiz builder, pre-built assignments and algorithmic testbank questions.